The first thing you'll notice about Carolyn Tan Bee Kim is her smile. Tan's smile is gentle and warm, much like herself - and you can't help but instantly like her. Given the positive energy emanating from her, it's hard to believe how unbelievably cruel life was to her as a baby. Over 30 years ago, soon after Tan was born in Penang (the sixth child in the family), her biological parents dumped her in a trash can. Thankfully, her alert babysitter realised something was amiss, found her and took her in. A few years later, Tan was adopted by a wonderful family and grew up very, very loved. When she was 11, her adoptive parents told her the truth about the circumstances surrounding her birth, and Tan admits that the news did affect her for a while. "I was really upset at the time - there were a lot of emotions and I kept asking myself, 'Why did my biological parents not want me and abandon me that way?' The feelings lasted about a month. After that, I overcame it because I have really great adoptive parents who love me a lot," she says. Tan had plenty to be happy about as a child. Growing up, she was particularly close to her adoptive grandmother, a fabulous Peranakan cook who ran a stall in Bukit Mertajam, Penang, for 25 years. Tan's curiosity about food was piqued by her grandmother, who had given up the stall and lived with the family, cooking for them every day. "My grandma loved to cook! She never missed cooking any meals for the family - she cooked breakfast, lunch and dinner - and regularly made Peranakan food like ayam pong teh, nyonya laksa and mee siam. She also loved to cook bak kut teh for the family - that was her specialty. When I was small, I would never miss spending time with my grandma in the kitchen, so that actually started to build my interest in cooking and baking," she says. Her grandmother's health started to decline when Tan was in her teens, so at 15, Tan started experimenting in the kitchen, trying to recreate her grandmother's recipes. "She was already sick and in bad shape, so I was in the kitchen trying to cook her food and make everything taste exactly like how she made it, because I knew she wouldn't be in the world for long and I just wanted to continue her legacy," she says. When Tan was 17, her grandmother passed away. Tan was devastated but her grief was tempered by a note that her grandmother had left her just two days before her death. "The note said: 'You are very capable. If you have the financial means, try and open a restaurant and continue my legacy'," says Tan. Although Tan has over 30 cousins, to her knowledge, she is the only one who was left this message by her grandmother. Tan made a silent promise to honour her grandmother's request but spent the next decade or so working as a tax consultant in large accounting firms. Even as she thrived in her career, the nebulous idea of opening her own restaurant and honouring her grandmother's request remained in the foreground. So she gave herself a deadline: quit her employment and open a restaurant when she turned 30. 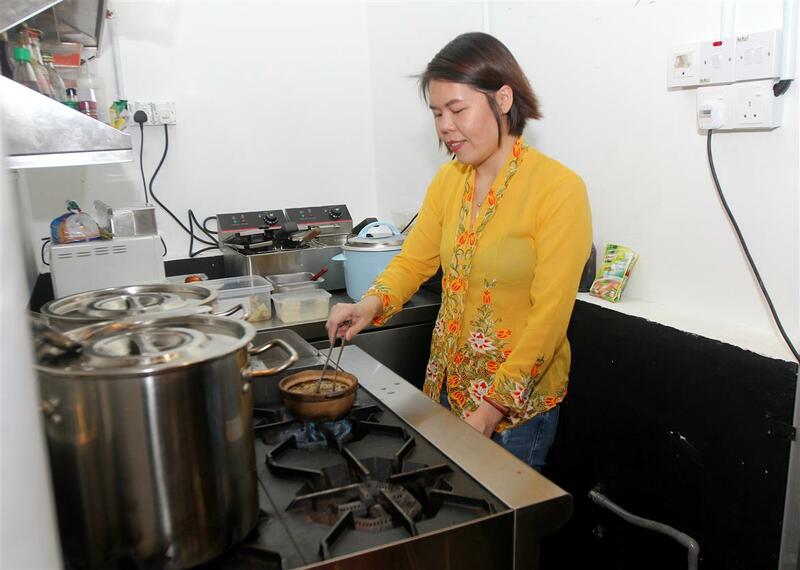 This year, Tan is 30 and has successfully fulfilled her grandmother's request by opening Appa Bistro & Bar in the Telawi area in Bangsar, Kuala Lumpur. The restaurant serves up her grandmother's signature bak kut teh dishes as well as some new inventions that Tan came up with. 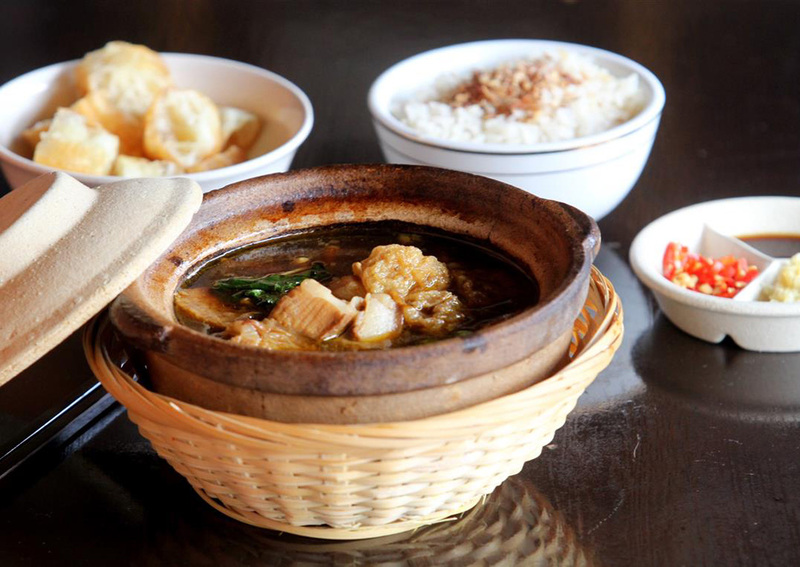 Tan will also soon be introducing Peranakan staples like ayam pongteh. Although Tan spent plenty of time with her grandmother in the kitchen, she never formally wrote down any of her recipes, learning purely through observation instead. "I always followed her in the kitchen and memorised the ingredients from watching her, so that is how I learnt. Nothing was ever written down," she says. But her powers of observation must have been acute because the bak kut teh at Appa is really, really good. Tan's signature Appa bak kut teh is made with Chinese herbs and spices like fennel seeds, cinnamon seeds and star anise, boiled with roasted garlic and shiitake mushrooms - for three hours - before the meat is added. The broth is then cooked for another two hours, before the meat is taken out and the broth simmered for an additional hour. The resulting flavours are delightful - the mixture is warm and nurturing, with a rich depth - the perfect panacea for a rainy day. The pork pieces have also been cooked well, and are meltingly tender. Tan also created innovative new bak kut teh variants for her eatery, including claypot pork rice, which uses bak kut teh broth (livened up by Shiaoxing wine) to flavour the rice. The rice is tender and has a lovely tonic-like quality from the broth infused in it. 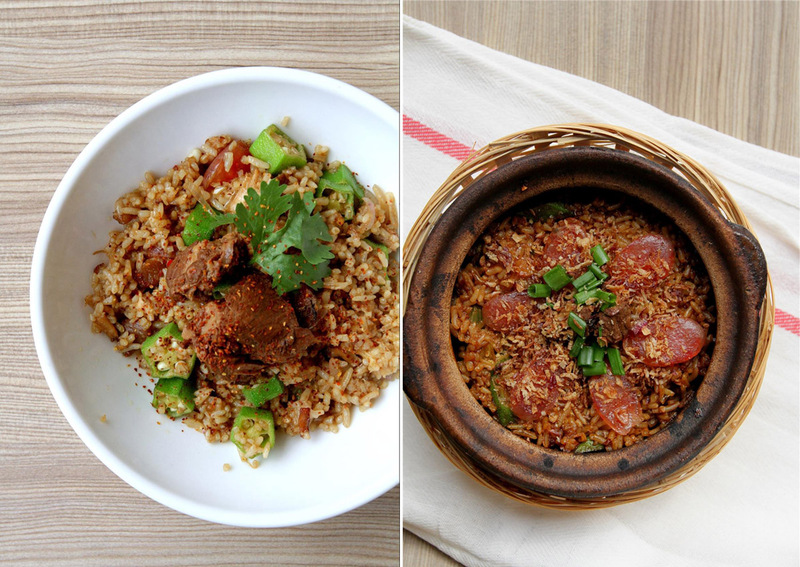 Another invention Tan came up with is bak kut teh goreng, a creative take on fried rice that also infuses the herbal flavours of bak kut teh. "I just wanted to make something different in the market that hasn't come out yet, so I came up with nasi goreng bak kut teh," she says. This new creation is devilishly good - beautifully fried rice with bak kut teh undertones that meld sublimely well in this amalgamation. For Tan, though, just being able to cook for others and share her grandmother's legacy is enough. "My grandmother always had this principle that you should put all your passion and love into the food you cook, and when you serve the food and see the customers' satisfaction, you have shown them all your love," she says. It is clear that love forms the heart and soul of everything Tan does. It is at the core of her being, and is what has led her to readily forgive things that happened to her in the past. Tan even met her birth mother recently at her biological father's funeral and says she holds no grudges. "I can forgive - it's in the past now," she says.